Roof Sealing: Includes, roof wash, removal and replacement of weather caulking sealant, on area of repair. Roof Repairs: Includes clean area of repair, patch and seal area around repair. Vent Replacement and Upgrades: Includes, removal and replace vent or vent upgrade, reseal area around vent. Roof Cleaning and UV Roof Sealants: Includes, wash roof, seal roof with a UV roof sealant. All services can be combined for a discount. Call for details. Prices are based on size of job. Here at Deluxe Mobile Detail, we come to you. 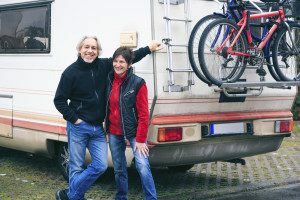 We understand that it can be difficult to bring your classic car or RV to someone to have it detailed, and that’s why we don’t have our customers do it – we come to you. We have everything we need, along with the experience and wisdom that only comes with decades of experience, to provide a level of service that far surpasses everyone else. 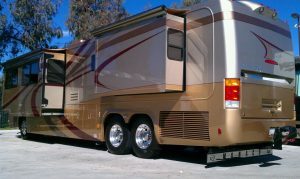 We take mobile RV detailing to the extreme, making every square inch of your vehicle look perfect.